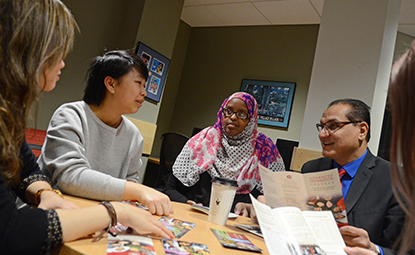 Multicultural Student Services offers comprehensive services to meet academic, personal development and multicultural programming needs of underrepresented students. We are a resource for students who need assistance with financial aid concerns, housing, tutoring, social-cultural issues and academic support. We create and maintain an environment that promotes cultural understanding and appreciation for all members of the university community. Visit any of our three locations to seek help with these resources or any concern you may need help resolving. We work with other university services and seek to improve the campus climate to make educational experiences more meaningful to students from all racial and cultural backgrounds. Multicultural Student Services invites you to celebrate 30 years of the Advanced Preparation Program (APP) on Thursday, July 12, 2018 at St. Cloud State University. Need help finding a job on campus? Find a study abroad program that works for you.